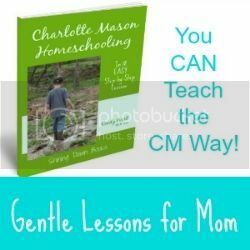 Being a Charlotte Mason homeschooler with a Classical flair when it comes to history and science, I love living literature that teaches history in rich and meaningful ways! 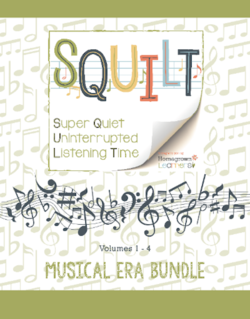 Over the years, we’ve hit ancient history three different times and each round has included new and exciting literature. I tried to make a Top 10 list, but it turned into a Top 11 list. I could have added so very many more, but these are the books that were the absolute most wonderful. I have ordered them chronologically for you. You can find all the posts in my Loving Living Literature series here. Adam and His Kin is an awesome work of historical fiction that looks into lives of Adam through Noah. It’s based on Bible facts, historical facts and archaeological facts. While the book takes liberties in conversations among the characters, it gives fantastic insight into this time period of Biblical history. We loved this book! The Golden Goblet is an exciting mystery/adventure set in Ancient Egypt that held our attention from beginning to end. It’s a wonderful story that gives an honest glimpse into the life of typical Ancient Egyptians. Tirzah takes a personal journey into the life of a slave family in Egypt. Will her people be able to escape the tyranny? Can a man named Moses actually persuade the Pharaoh to let her people go? Good stuff! Hittite Warrior is historical fiction based on the fourth chapter of Judges when Deborah is judge in Israel and includes the battle between the Hebrews and Canaanites. The book follows the fictional character, Uriah, on his adventures through the land after his family is killed by the Greeks. Mara, Daughter of the Nile is both a slave and a double spy playing a dangerous game in Thebes. As the plot thickens, Mara, finds herself falling in love with one of her masters. Are love and freedom worth all the risks? The Trojan War brings the tale of the Fall of Troy to life with vivid action. Be warned that mythical gods are intricately part of the story, but this fits in truly with the culture of the time. And…it’s a bit gory, but again, part of the truth of the war. Pre-read if you’re concerned that it might not be a good fit for your family. Augustus Caesar’s World uses the titled character as the center point of a book that teaches the entire history of the ancient world. Almost textbook-like, but very much still living literature, this book could be used as a main spine for an Ancient History study. The Bronze Bow is another one of our very favorite books EVER! An angry Israelite teen wants revenge on the Roman government for killing his father and other acts of “take-over” in his homeland. In time, he begins to hear the words of an interesting man, Jesus of Nazareth, and his heart slowly begins to change. Full of action and suspense, this book was hard to put down. Vinegar Boy is yet another of our all-time favorites. Yes, we have many. In this story, you meet an abandoned boy who is ugly in the eyes of the world. He learns about a man called Jesus who might be able to heal his ugliness. Walking through the death, burial and resurrection of Jesus, he begins to see he has been part of a life-changing moment in time. Twice Freed is the historical fiction story of Onesimus, the slave who escaped from Philemon and befriended Paul. It’s a beautiful story of being freed from sin and slavery. Several Bible characters and historical facts are woven into the story as well. Which living books are your favorites for studying Ancient History? You’ll love my Ancient History Pinterest board for learning ideas! We’ve read most of those, and my favorite by far was “Twice Freed.” The combination of history, culture, Bible, and imagination was fun for me, my daughter, and my mom. It’s rare for a book to work for all three of us. Great list, thanks for posting this! Great list!! Looks like they are maybe 4-5th grade level? 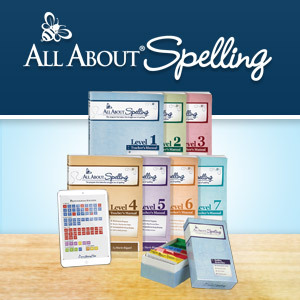 Do you have any you recommend for 1st-2nd grade level? Yes, Kim, we enjoyed that one, too! Love this list! Looking for books for Kindergarten and 1st graders. Got suggestions? Any book ideas for older kids? Thanks.